Harry N. Abrams, 9781419733628, 368pp. Cat Winters is the author of the critically acclaimed young adult novels Odd & True, The Steep and Thorny Way, The Cure for Dreaming, and In the Shadow of Blackbirds, which collected three starred reviews and was a finalist for the William C. Morris Award for debut YA fiction. She lives in Portland, Oregon. 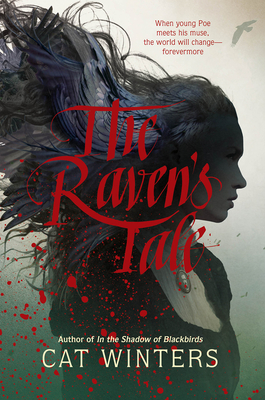 "A darkly delicious tale that’s sure to haunt readers forevermore." "Several of Poe's most well-known works enhance the narrative, complemented by the author's own finely crafted writing that flows with gorgeous, Poe-inspired phrases . . . A labor of literary love that will appeal to fans of Gothic horror and anyone who has ever had to assuage a determined muse." "Winters effectively infuses Poe’s macabre aesthetic into her fictional retelling of his life. Fans of classic literature will delight in the many references to mythology and other poets; fans of Poe himself are bound to enjoy passages written in a similar voice to “The Raven,” as well as the many allusions to his early works." "Eerie, macabre, and appropriately esoteric, Winters' (Odd and True, 2017) story of a mysterious soul will speak to literary teens"
"Winters strategically creates a physical being, Lenore the Muse, as a metaphor for passion or dreams, a theme that rings true as Poe tries to ignore and escape his gothic poetry . . . teen fans of Poe’s poetry will learn about his life and the included verses will create new fans."